Camp NaNoWriMo kicks off April 1, and as an added bonus for all our young writers (17 and younger), we hereby present...the Young Writers Flash Fiction Contest! Where you go from there is completely up to you. We’ll be looking for intriguing descriptions, characters, and situations. Be sure you’re able to pack a lot into a short word window. If you’re not sure how, read some flash fiction examples to get inspired. A lifetime subscription to 4thewords (winners under 13 will need parent permission to create an account). A specially designed Camp 2018 YWP Contest Winner Badge for your profile and social media. A year’s subscription to 4thewords (winners under 13 will need parent permission to create an account). A specially designed Camp 2018 YWP Contest Honorable Mention Badge for your profile and social media. To submit, go to the form below and paste in your story by 11:59PM PST on April 30 (the last day of Camp). You can only submit one story, and you can’t change anything after you submit it, so be sure it represents your BEST work. Any questions? Ask in the Young Writers Contest forum, email ywp@nanowrimo.org, or message Marya_Brennan using Help Central on your YWP dashboard. 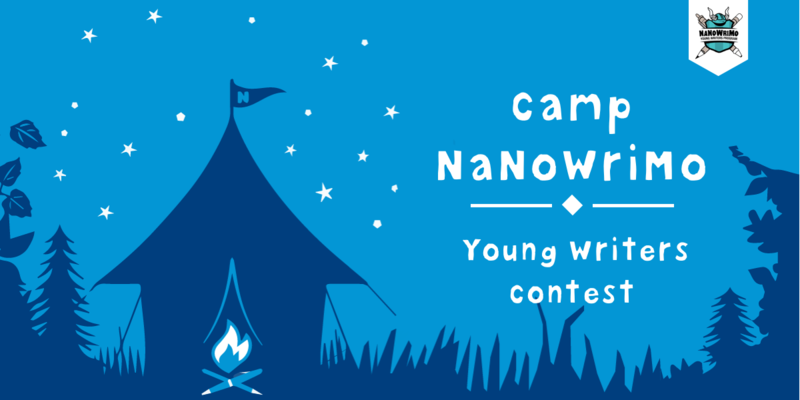 Camp NaNoWriMo on YWP — Learn more about this challenge that happens every April and July. NaNoWriMo March Instagram Challenge — We're hosting our first-ever Instagram challenge during the month of March! Follow @NaNoWriMo and #InstaWrimo, and take photos inspired by our prompts. Learn more details on the NaNoWriMo blog. Write a Camp Prep post for the NaNoWriMo blog — Got advice for other writers, young or old? Sign up for the chance to write a participant post on the NaNoWriMo blog. Fill out the interest form here, or read other YWP participant posts for inspiration.